Customer service has always been and continues to be the bedrock on which every successful business builds its foundation. Superior customer service offers businesses a cost-effective means of standing out from the competition in what continues to become an increasingly competitive market. Conversely, exhibiting poor customer service is one of the easiest ways to not only dissuade repeat business, but also to discourage potential customers. The value of customer service becomes even more apparent as businesses operate in a world dominated by social media. It was only a few years ago that an idea took hold that customer service was the new means of business marketing. The concept goes that providing a remarkable customer service experience not only generates repeat business it also encourages customers to refer their family members, friends, and colleagues. Word-of-mouth continues to rank as the most effective form of marketing, and outstanding customer service is one of the easiest and most compelling ways to get people talking. If we update this theory to the present day, we can safely say that social customer care is the latest and most effective way to market. The way your business handles its customer service over social media platforms like Facebook, Instagram, and Twitter can either dramatically amplify your successes or resonate your failures to a wide and influential audience. Customer service today has very much become like a spectator sport. When a customer leaves a comment on your Facebook page – whether good or bad – the world takes notice. They can also see how you respond, or if you don’t respond at all. For small businesses that haven’t fully embraced social media as the powerful customer service tool it has become the time to start is now. Here are a few tips on what you need to know in order to get started. Embrace social. Most ever company has some presence on the biggest social media platforms, but have you embraced using those channels for the purposes of customer service and support? If not, it’s time to move forward and develop a formal social care strategy. Have a presence on the channels your customers like using. If you don’t know which social media channels to start using for customer service support, simply ask yourself: What channels do my customers use? Identifying where you can reliably find your customers makes a great place to start. Be able to identify when your brand is mentioned on the Internet. 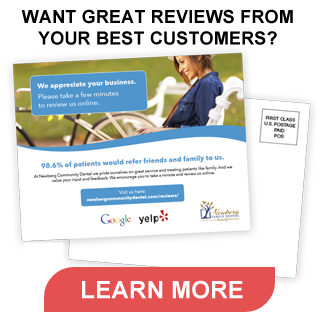 There are a number of great software programs on the market that allow businesses to track reviews, comments, etc. whenever a user mentions their brand online. Some are even free to use. Outstanding customer services means promptly addressing a customer’s question or concern. Unless you have the ability to continuously monitor social feeds, comments sections, and message boards across the Internet, you may miss the chance to make the kind of customer service impression that resonates. Respond to everything. One of the biggest mistakes a business can make on social media is ignoring comments, posts, and reviews left by customers. They call this platform social media for a reason. It’s social by nature, and people want to see how your business responds to comments, especially complaints. If a customer takes the time to leave a comment on your Facebook page, they deserve the same level of consideration in return. Respond promptly. If failing to respond to a post or comment ranks as the biggest mistake a business can make when it comes to social media platforms, not responding quickly is the second. Surveys have shown that the average company takes days to respond to a customer comment. If you want to excel at social customer care, you need to make the commitment to do it right. Don’t wait days or even hours to respond. Let your customers know you’re listening in minutes. Be authentic. A stock cut and paste method of responding to customers online may work in the beginning, but your audience is savvy enough to notice the pattern over time. Not only will your responses become predictable, using the same lines over and over will sap any credibility and sincerity from your responses. People are watching and have no problems making judgements about how your brand responds online. Take the time to craft a thoughtful message to your customers. Be proactive within your community. Your social media channels shouldn’t exist solely has a means for collecting customer complaints. They also serve as your chance to connect with your customers in unique and engaging ways. Post your own valuable content to social media. Not simply promotional posts or thinly disguised forms of advertising, but good information that your community can actually use. Social customer care can serve as more than just simply an extension of your business’ customer service department. When done right, it’s an incredibly potent form of marketing that’s relatively inexpensive and cost effective. If you can transform customers into walking, breathing billboards for your brand, you’ll have found a way of tapping into the most financially rewarding forms of marketing. Make your customer services conversations public and show the world what your brand and business is all really about.